“The marriage of Harold Ray Mann and Patricia Mann is now dissolved.” Hearing these words, I didn’t understand how this new status — single — would change my life, a life where I previously had checked “married” on all forms. So what was my future and the future of my daughters in our now one-parent household? “What now?” were the words in my mind that I never verbalized. The process of our divorce had taken almost two years, and now, it was over. The time, emotions, and energy of finalizing the end of a fifteen-year union was also over, and all I could think was “what now?” What was the future to bring? Was I going to be able to continue living in my house? Would I be financially stable? Would my daughters emotionally survive their parents’ divorce? Who would continue to be my friends now that I wasn’t part of a twosome? Would my parents, who married for life, be able to accept the divorce of their eldest child? And the big one: Would I ever find love again? Paula Patton may be asking herself the same questions since recently separating from her longtime love and husband, Robin Thicke. Marriage is hard. Looking at the possibility of divorce is hard as well, especially when children are involved. The divorce process can take a long time from beginning to end, but maybe Patton and Thicke can work through their issues to rebuild their marriage and give their child the chance to live with them both together. The possibility of divorce during the last three years of my own fifteen-year marriage had been a reality for me. I had collected several college hours, and a month before our divorce, I finished my program, receiving a diploma in education. No job, but a diploma, three wonderful daughters, and good friends. I was the only divorced person in our neighborhood, but luckily for me, my neighbors were very supportive of my single-parent status. Social media and networking wasn’t developed at the time. I was a desperate single mom needing work. But…there was the grapevine! Friends called friends and co-workers, and within a month, I had a job. Life flowed into a routine of working, driving kids to their events, attending church, shopping, and taking care of a house — all the normal activities, minus one adult. But it was okay. “What now?” had become a faded thought. I was living the “now,” and it was going well. Transitioning from married to single life can be stressful, difficult, frustrating, disappointing, and even exciting. Yes, all of these emotions are felt as you reinvent yourself and your family composition, making the changes that are necessary as you leave married status behind you. Related Link: Did Robin Thicke and Paula Patton’s Body Language Indicate A Breakup Was Coming? Even exciting? How can that be? Because change of any kind, no matter how painful it might be, is also exciting – you are in charge of making this new life just as you want it to be. How you choose to acclimate to your new status, how you choose to view the experience of your previous married life is all your’s to decide. You can look at those years as wasted, or you can look at them as time spent learning about love, how to love, what’s really important in a relationship, and what you want out of the next relationship. And you are better equipped, more knowledgeable, and more mature for the next time love comes your way. To those who are experiencing the end of a marriage and asking “What now?”…breathe, breathe, breathe. Live each day fully and notice all the positives around you. Focus on the now, enjoying the moment. Reach out and make new friends. Join Parents Without Partners, a singles group, or other positive support groups in your community. Be open to new friends or a new love. Open yourself to the possibilities of what’s to come – the joy of life – as someone who has experienced love and will again, when the time is right. Patricia Bubash received her M.Ed. in Counseling from the University of Missouri, St. Louis. Working with students and families has been her true calling for over thirty years. For more than twenty years she has presented workshops at the community college on a variety of topics relating to parenting issues, self-esteem and issues relative to divorce. 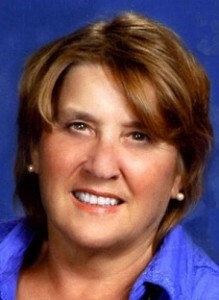 Patricia is a Licensed Professional Counselor in the state of Missouri and, a Stephen Minister. She submits a variety of articles related to relationships, marriage and divorce to several internet sites, and, frequently, is interviewed on internet radio stations. Volunteerism, writing and family are most significant in her life. Patricia writes for DivorceSupportCenter.com, HopeAfterDivorce.org, CupidPulse.com, andFamilyShare.com. She can be reached at patriciathecounselor@successfulsecondmarriages.com. Follow Patricia on www.facebook.com/patriciathecounselor.